According to the Centers for Medicare & Medicaid Services, over 50 million Americans were enrolled in Medicare as of July 2012 making it the single, largest payer for healthcare services in the United States. 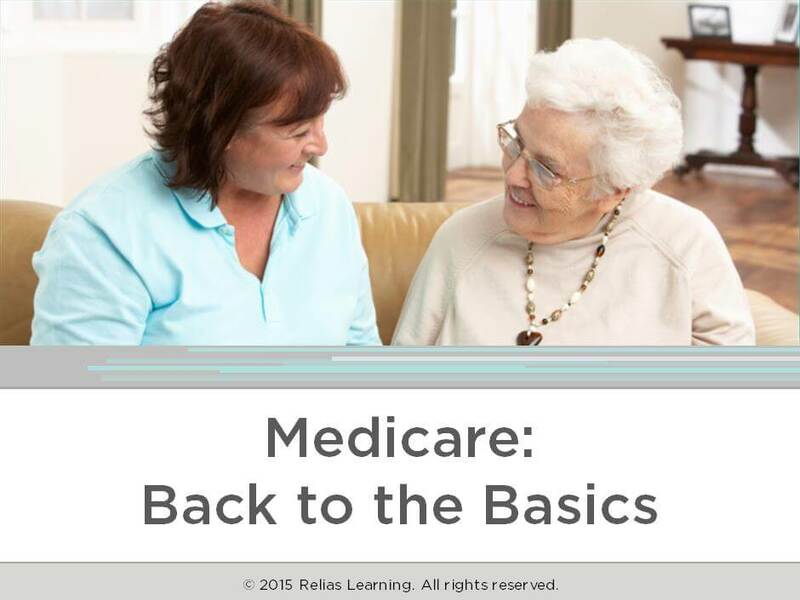 Making sense of Medicare rules, regulations, and guidelines is difficult at best, but it is important for you to have a basic understanding of Medicare as doing so can enhance the guidance you provide to those under your care and improve your effectiveness as an advocate. In this course, you will learn about the different parts of Medicare and the services provided under each. Define three basic terms used by Medicare. List two services covered under each Medicare Part A and B. Explain the eligibility requirements for two services covered under Medicare Part A. The target audience for this course is: entry level General Staff; in the following settings: Acute Care Facility, Assisted Living, Home Health, Hospice, Long-term Care, Rehabilitation Settings, Residential Care.